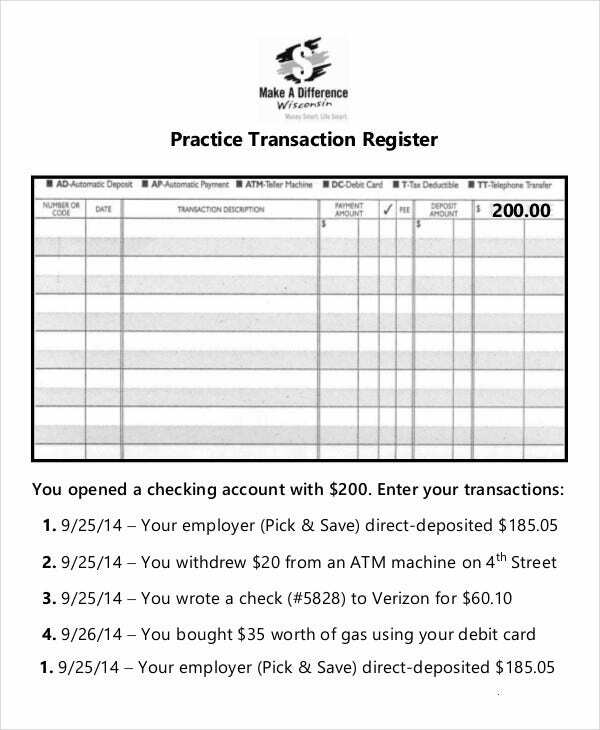 A check register can be used to keep a record of all your transactions. A check register is very easy to maintain and is a convenient way of managing your finances. Check registers are difficult to make but once you get a useful format, you can easily maintain them. Below we have listed a few sample check register templates. 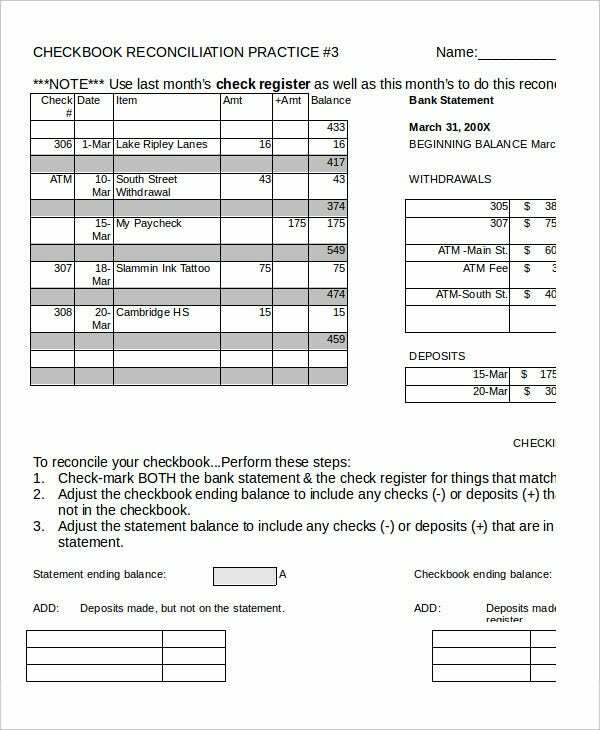 These word templates can assist you in making your own check register with ease and in no time. You can also see Checklist Templates. 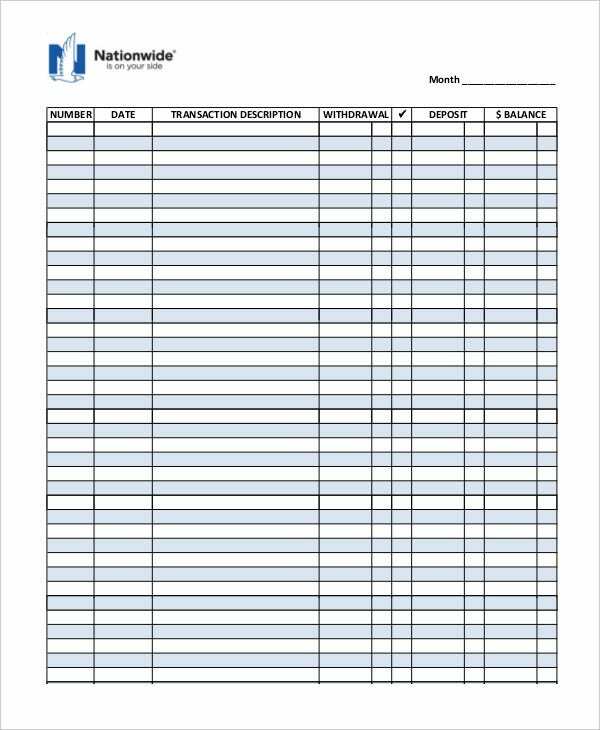 This sample check register template can help you in maintaining a record of all your business transactions with their useful details like date, amount, and description of all the transactions. 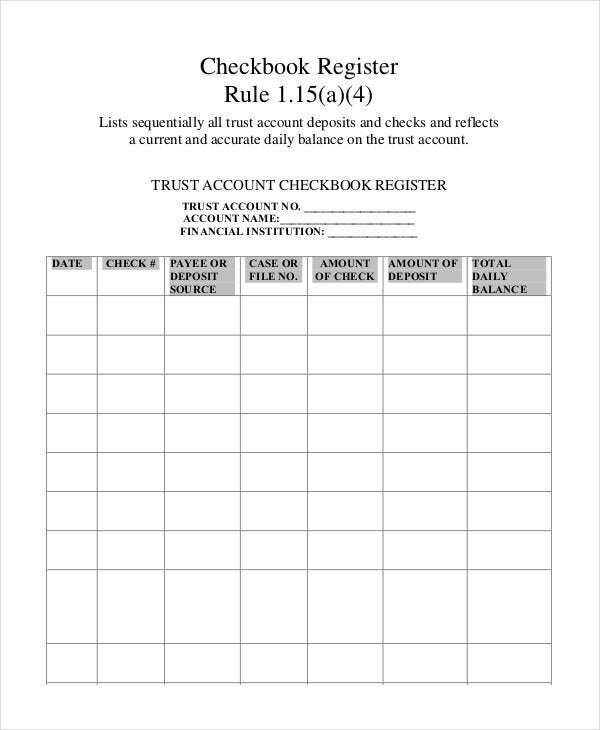 This sample check register can be used to make a note of all the transactions done in a bank account via cash or checks to check the available balance in the account. > Who can use the Sample Check Register Templates? 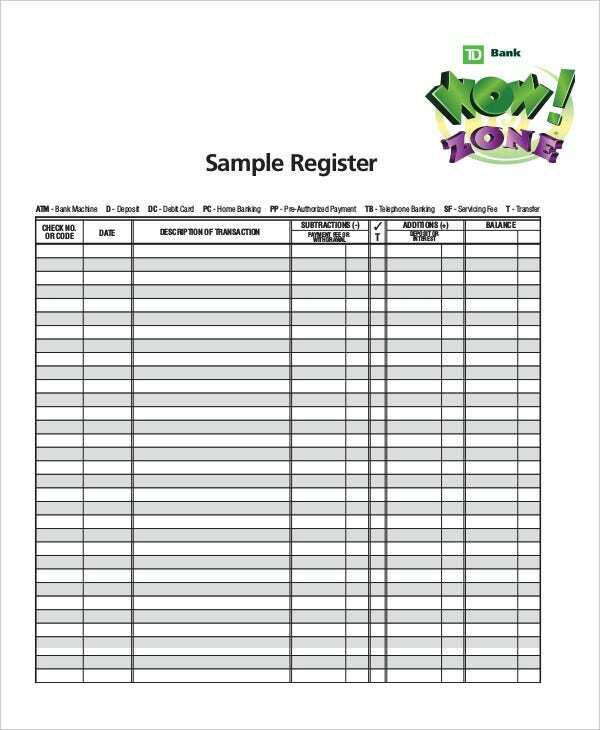 Sample check register templates can be used be a number of people. 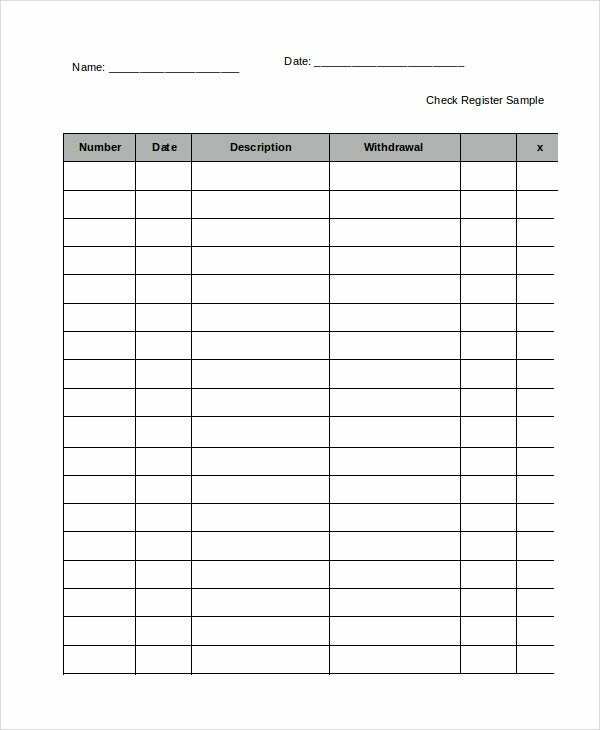 Individuals can make use of these sample check register templates to keep a record of their daily transactions. They can keep a record of their daily expenditure to know how much balance they have in their bank accounts at any time. You can also see Free Checklist Templates. 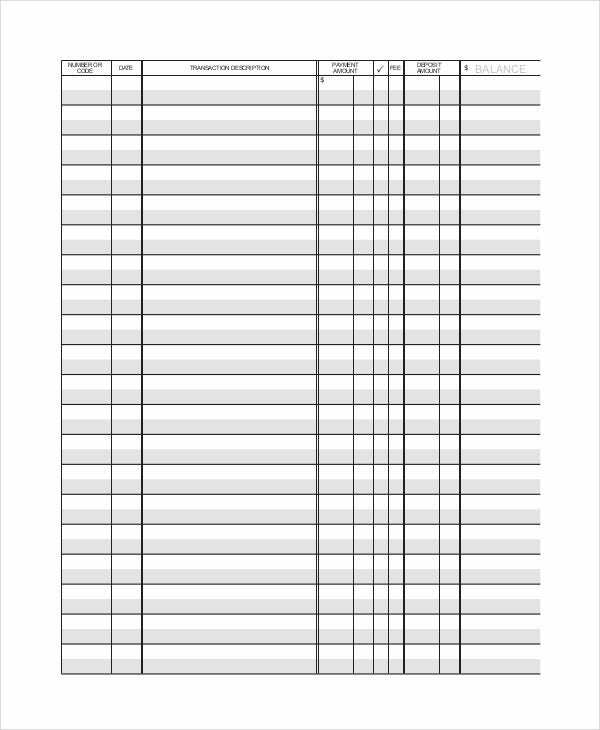 These sample check register templates can be used by accountants for managing the finances of a business. They can use it to keep a record of the money spent and received on a particular day to calculate that day’s net profit or loss. Bankers can use it to keep a record of transactions done by their clients. 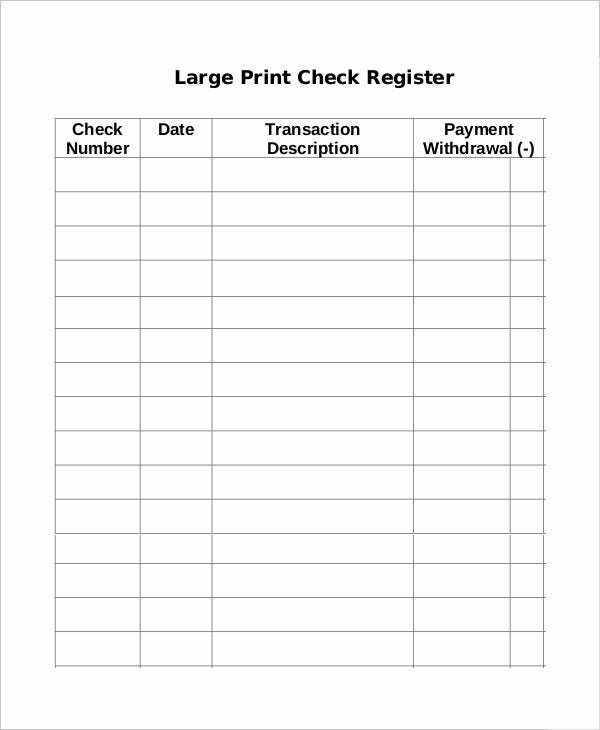 This sample check register template can be used to keep a record of all the deposits and withdrawals done in a bank account in order to keep a record of the remaining balance at all times. You can also see Simple Checklist Templates. 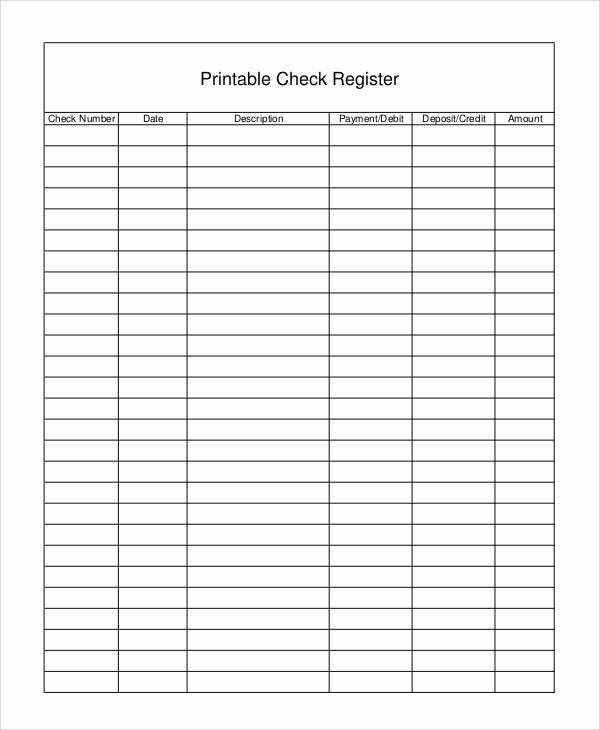 This sample check register template is a blank template which you can directly use by printing it and keeping a record of all the transactions done by checks on it. > How to use the Sample Check Register Templates? Sample check register templates should be used based on the types of templates that they are. If the templates are examples of check registers, you should use them as references to make your own check registers. You can do so by using the format given in the samples to create a check register for yourself resembling the samples. You can also see Employee Checklist Templates. In cases of Excel templates, you can make use of the formulae used in the sample to make your own check register in Excel. Blank templates can be directly used by entering withdrawals and deposits in their defined regions to calculate the net balance. > What are the benefits of using Sample Check Register Templates? There are various benefits of using sample check register templates. These templates tell you the correct way of maintaining a check register. Check registers are important and are one of the most important financial records of a company. Therefore it is essential that a check register is maintained in a systematic way. Sample check register templates enable you to do that. You can also see Compliance Checklist Templates. 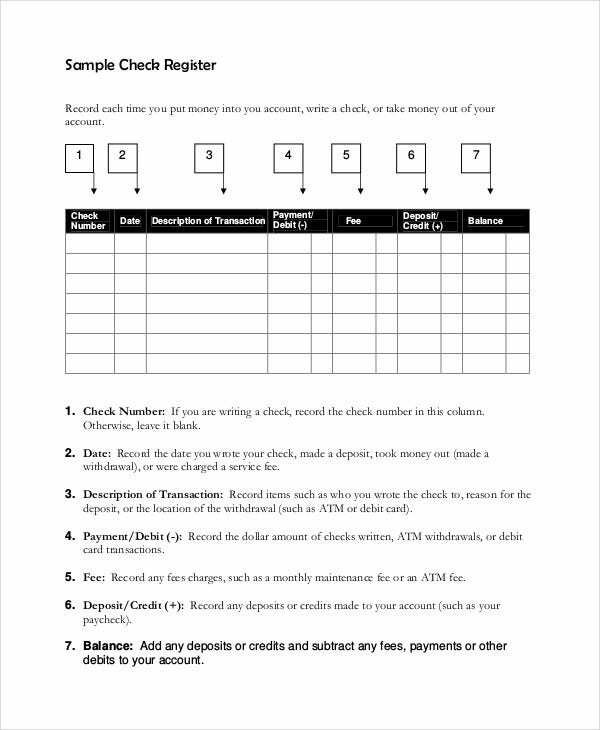 These templates tell you the right format of making a check register. 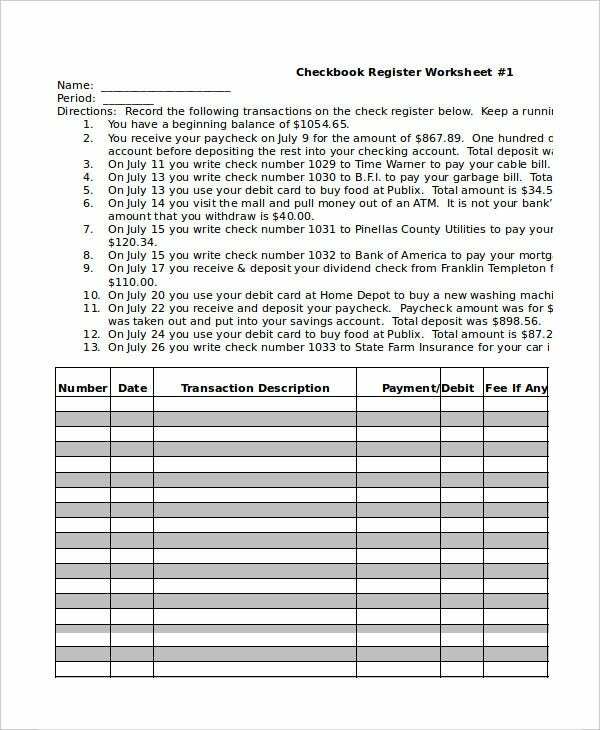 Blank check register templates are even more useful as they provide you with ready to use check register templates which you can make use of as your own check registers. Payroll register templates can help you in keeping records of the entire amount of money you have to pay to the people you have hired for certain jobs. 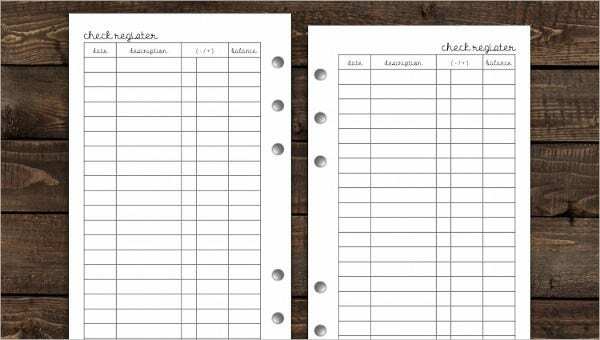 Printable checklist templates are extremely useful and by using them, you will able to keep financial records in an effective and systematic way.